The President of the Republic appointed new Ambassadors on 6 April. Most of them will assume their functions on 1 September 2018. 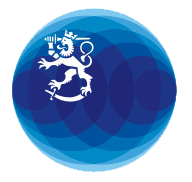 The Ministry for Foreign Affairs is making changes to Finland’s network of diplomatic missions as part of the central government’s savings. The changes arise from decisions to cut the Ministry’s appropriations for operating expenses. The embassies of Finland in Luxembourg, Bratislava (Slovakia) and Ljubljana (Slovenia) will be closed by the end of 2015.